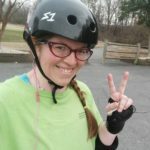 The Charlotte Roller Girls travel to Johnson City, TN this weekend to take on the Little City Roller Girls in its fifth bout of the season. 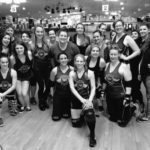 The B Dazzlers, Charlotte’s second interleague team, will take up Little City’s challenge in the May 9 bout dubbed Mountain MAY-Hem. The team, formed at the start of the 2009 season, competed for the first time in February. The Charlotte Roller Girls have two interleague teams All-Stars and B Dazzlers. The roster for each team changes throughout the season with players transferring from team to team based upon individual performance. “We are less experienced than our All-Stars but we are all part of the same organization,” said Charlotte’s team captain Stunflower. “We all practice together and have the same trainers. What we lack in bout experience we make up for in heart and soul. 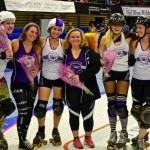 The next home bout for the Charlotte Roller Girls is on May 17 when the All-Stars take on the Columbia (SC) Quad Squad. Tickets are on sale now.